Is Islam only about image management? Why isn't intent important anymore? It is not easy to be a Muslim. Even though I am a practicing Muslim, strive to offer namaz five times a day and read the Holy Quran almost every day. I never seem to make the cut with the self-appointed minders of Islam because I defy the stereotype of a Muslim. The stereotype of a Muslim woman that exists in their heads. I can decipher the "kya aap Musalman hain?" look much before the brain forms the sentence and the tongue delivers it. In the past, I have been asked to recite the kalma to establish my Muslimness. I have been asked if I am a born-Muslim or if I converted post-marriage. I have been asked the meaning of my name - it's Arabic, but the minders wouldn't know. The 20-something Muslim driver, who came looking for a job last week because he would have liked to work for a Muslim, mocked me during his trial drive - "aap ne Quran Sharif bhi padha-wada hai ke nahin". After years of living with guilt I have learnt to stand up and speak out. I told the driver that I could recite the Quran with Qirat (reciting it slowly, correctly) and that I had the honour of being taught by an Alima from Jamia Hafsa. If the real world was not bad enough, the minders have taken charge of the virtual world too. Instructing me how to correctly spell Inshallah in English. On where to put the apostrophe in Subhanallah. On why I should say Allah Hafiz and not Khuda Hafiz. Or why when I have to thank people for liking what I had posted I should say "Jazakallah". There is also plenty of mindless stuff where I am instructed to write "Ameen" and get Allah's blessings. It is also not odd to receive messages from friends or family on WhatsApp groups asking me to urgently circulate an Islamic message 11 times and experience a life-changing event. Just as I was getting used to the online sermons, I saw a Facebook fatwa on women wearing headscarves. Fashionable or otherwise. The disco-hijabis, as they are called. Those who wear headscarves over a pair of pants or long skirts. 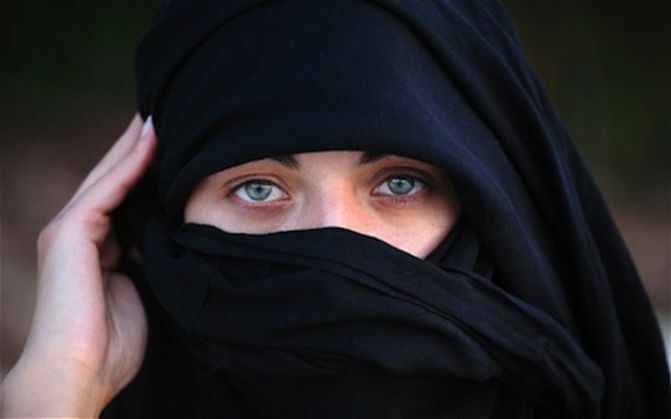 Headscarves that are not deemed Islam-grade unless worn with a conventional black burqa. Also read: Why is Islam's poster boy Zakir Naik taking moderate Muslims back in time? That the black burqa sits like a second skin does not matter. Who cares if the men themselves violate the dress code prescribed by Islam? Islam prescribes a dress code for both men and women, but we never see the minders circulating sketches of men flagging the shortcomings: "Say to the believing men that they should lower their gaze and guard their modesty..."
"And say to the believing women that they should lower their gaze and guard their modesty..."
If the intention is to not attract the male or the female gaze - this could be achieved by women by wearing a pair of pants. Or long skirts. And this could not be achieved by a woman wearing a figure-hugging burqa - vying for the male gaze. The idea is to conduct oneself well. An unwritten norm that all societies endorse cutting across religions and cultures. Islam is all about intent - the niyat. But the minders seem to have forgotten that. Why am I not allowed to stop the Hafiz Sahab when he rushes through the surahs in the namaz during the special Ramzan prayers? Or the Imam Sahab when he comes home for the reading of the Quran. Why is the symbolism of reading the 30 chapters so important? Why are little children pushed into reading when they don't want to? Isn't a page well read more meaningful? When I got out of the car to feed the dogs on the street, the driver-to-be said, "Kuttey napaak hotey hain" (Dogs are impure). I live with two dogs and that's a line that I have had to hear many a times. Even though a chapter in the Quran mentions dogs as companions. There is also a hadith wherein a prostitute's sins were forgiven because she gave water to a thirsty dog. I am not guilty of buying pedigrees. I took home two stray pups off-the-street. One, infected with the deathly parvo virus. The other with mange. I worked hard on them and when they were healthy I didn't have the heart to abandon them. I thought that was a sin. I grew up seeing an Alima (authority on Islamic matters) and perhaps the first woman Unani doctor in India feeding dogs. She ran a madrassa from the campus of a mosque and is credited with educating lakhs of Muslim girls. The dogs would obediently wait outside her door and she would feed them affectionately suffixing their names with a "Mian". After years of living with guilt, I had a conversation with the Alima. She told me it is fine to feed dogs and Allah sees the intent. I narrated the hadith to the driver. That shut him up. But I failed his test. TWEET THIS How to spell Inshallah in English? Learn from the self-appointed minders of Islam Is Islam only about image management? Why isn't intent important anymore?